Woohoo! 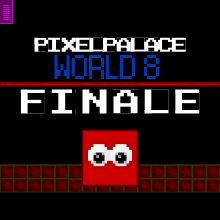 The finale to the PixelPalace series is finally out! This is it. No more waiting. You all have gotten what you've waited for. The final showdown has arrived. This features a high-tech battle between the nefarious PixelProwler Megabot Colossus and the gallant, chivalrous hero himself!